Founded in 1997, we quickly established our reputation as a specialist employment law firm. However, now we’re much more than just a team of employment lawyers. As the employer-employee landscape has changed dramatically since we started out, so we’ve evolved and extended our services accordingly. So nowadays we deal with all legal issues relating to people in the workplace, from employment law to business immigration, from pensions to other corporate employment services including incentives. We are a workplace law firm. 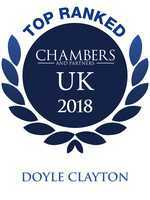 We're highly rated in both Chambers and The Legal 500 directories of leading UK law firms (see here), and provide advice across the UK, including Scotland. We have strong alliances across Europe and are a founder member of ELLINT (www.ellint.net), an international network of specialist employment law firms. 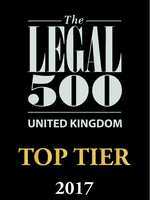 We also work alongside other law firms where required. Our clients tell us they appreciate our competitive rates when compared to other leading firms and our straightforward and practical advice. Our team of lawyers are specialists and highly-skilled, with a broad range of experience. With four offices, and approaching 50 specialist lawyers and consultants, we have the strength-in-depth and critical mass to support our clients in all workplace-related matters.